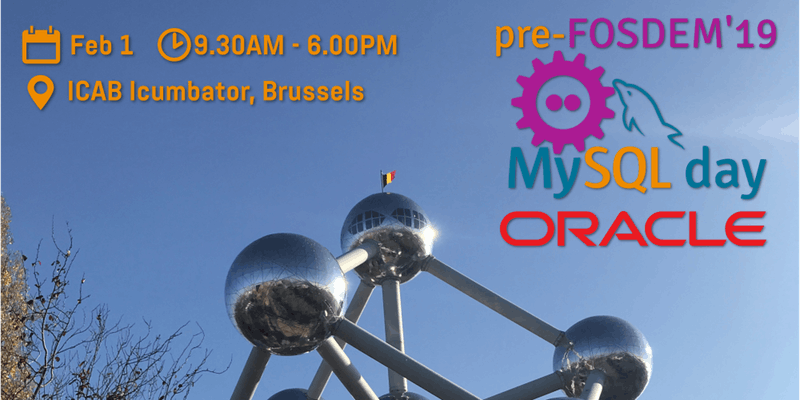 For the third year in a row, we can take advantage of the mass presence of MySQL Engineers during FOSDEM to organize the pre-FOSDEM MySQL Day. The program of this 3rd edition is already on track, and most of all the speakers already confirmed their participation. MySQL is the world’s most popular open source database. With its proven performance, reliability and ease-of-use, MySQL has become the leading database choice for web-based applications, used by high profile web properties including Facebook, Twitter, Github, YouTube, Yahoo! and many more. Oracle drives MySQL innovation, delivering new capabilities to power next generation web, cloud, mobile and embedded applications. 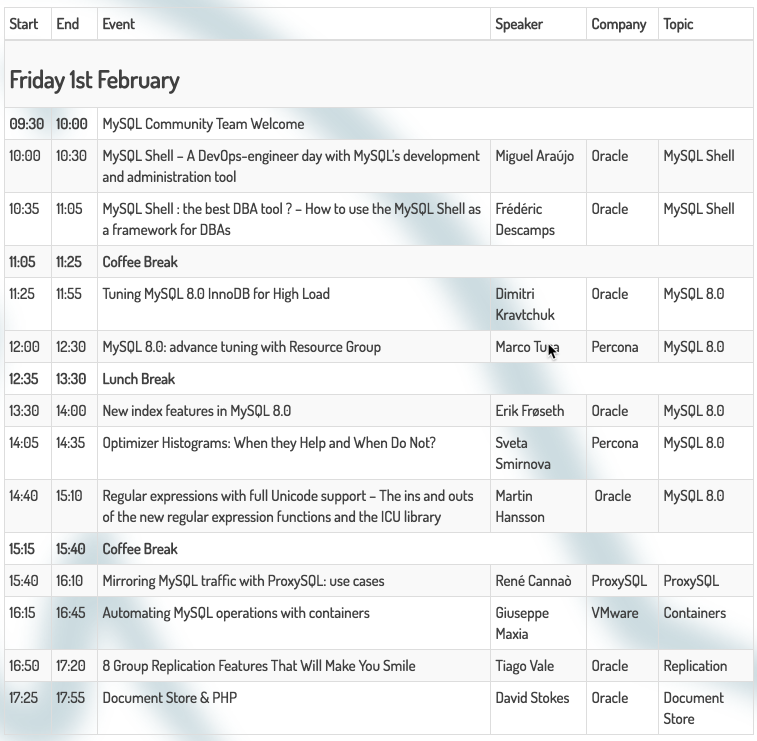 Like previous year, to prepare the FOSDEM MySQL & Friends Devroom, organizer offer an extra day to learn about MySQL. There will be focus on MySQL 8.0’s new features but not only! Tickets are limited, please register to attend it and free your ticket in case you can’t make it.